Rustico – adj: Rustic; rural; of or relating to the country. noun: a baked savory snack made from puff pastry stuffed with bechamel, bits of mozzarella, black pepper, and a hint of tomato; the quintessential snack in southern Puglia. In Lecce and Salento, the rustico is to savory treats what the puccia is to bread and pasticcio to is to pastries. 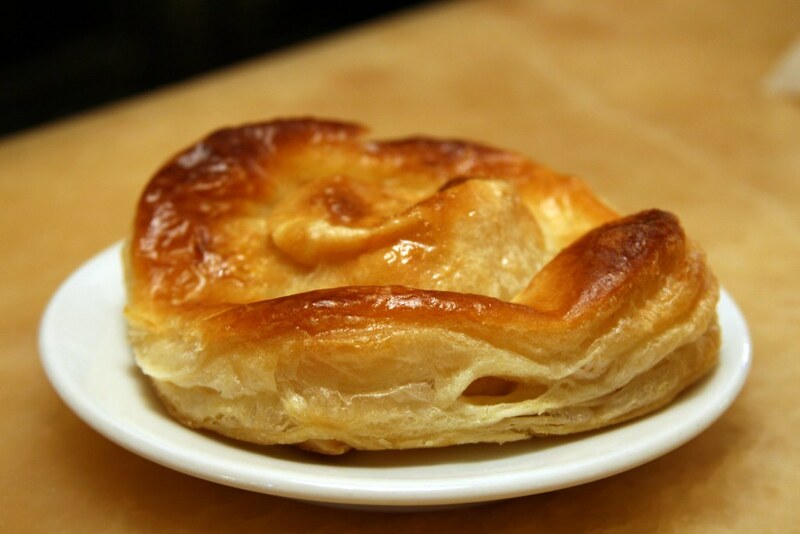 This flakey, heavy disk is prepared in bakeries or sold at bars and caffes where it is eaten as a mid-morning, late afternoon, or late night snack. On my first trip to Lecce, I ate one at each of these snack intervals and, while not recommended by doctors, this approach is satisfying. My first stop in Lecce is always at Alvino in Piazza Sant’Oronzo for a quick rustico, eaten standing up at the bar to burn an extra 5 calories while I devour the dense, rich leccese hot pocket. Rustico is heavenly! I have had some of the best food the south of Italy has to offer IN PUGLIA! Tonight I will be dreaming about cozze ripiene, pizzi, pesce crudo….sweet dreams! Very happy to know all the nice things you’re writing about our lovely area! Katie you really caught the best out of the “rustico”! Hope to see all of you here soon! One of my favorite “snacks” when we visit. I rustici, la puccia, e le mozzarella! …. All make my mouth water. Can’t wait to go back.